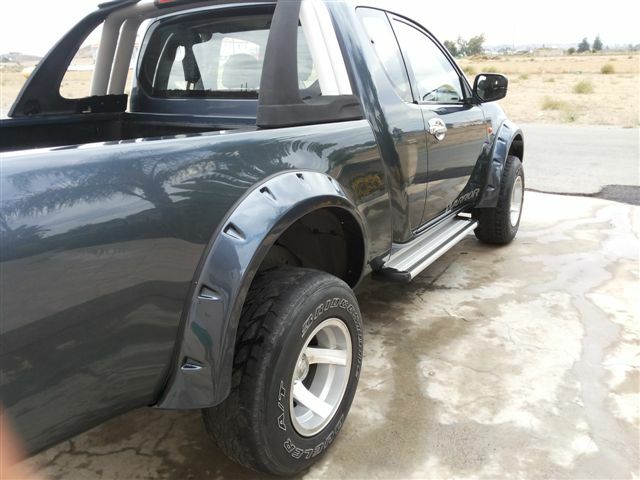 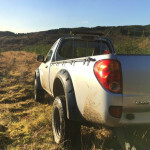 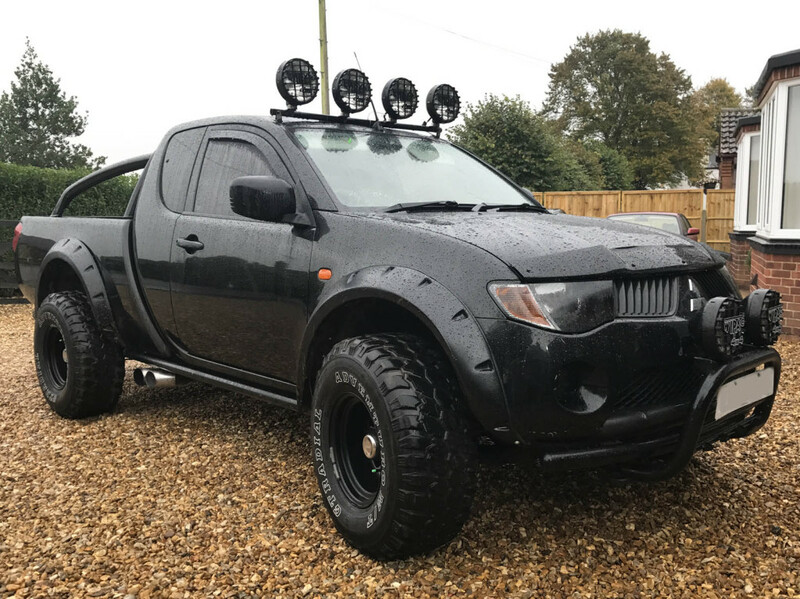 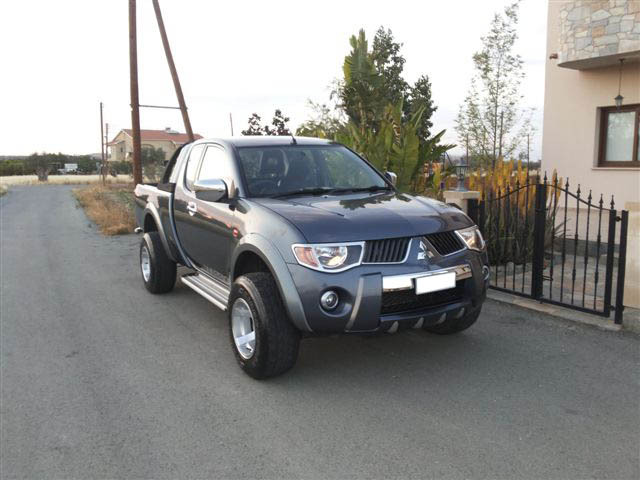 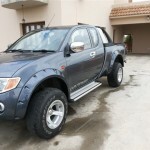 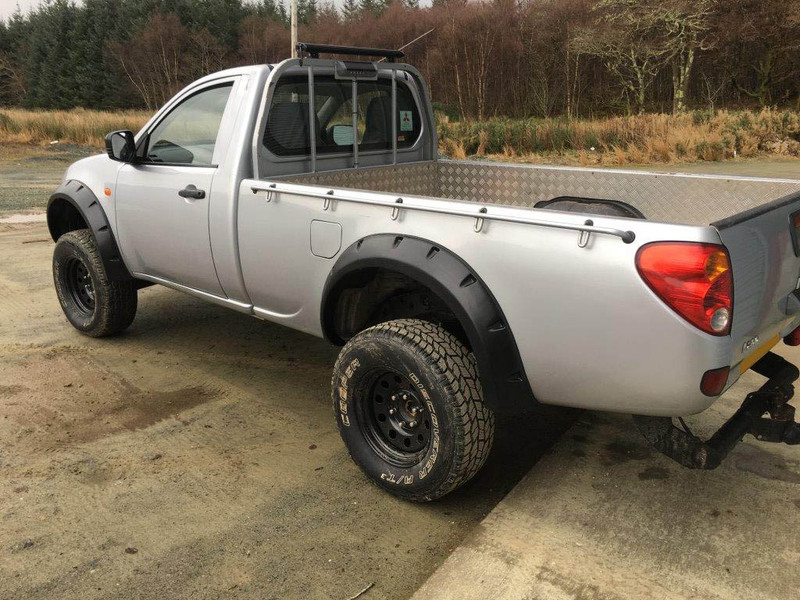 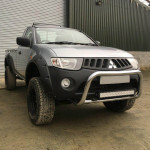 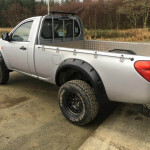 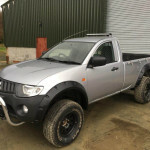 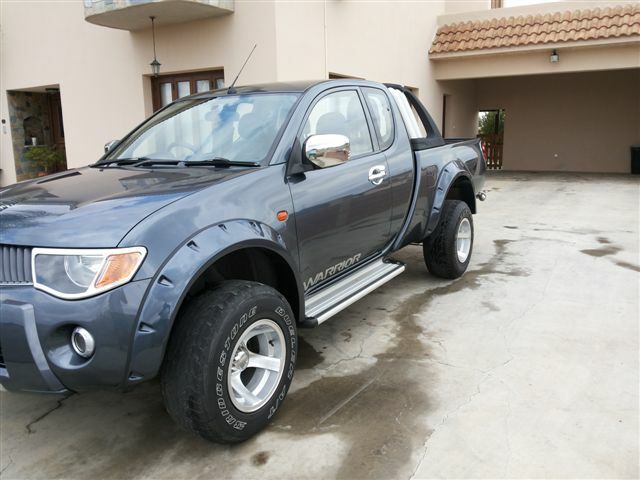 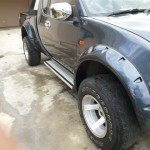 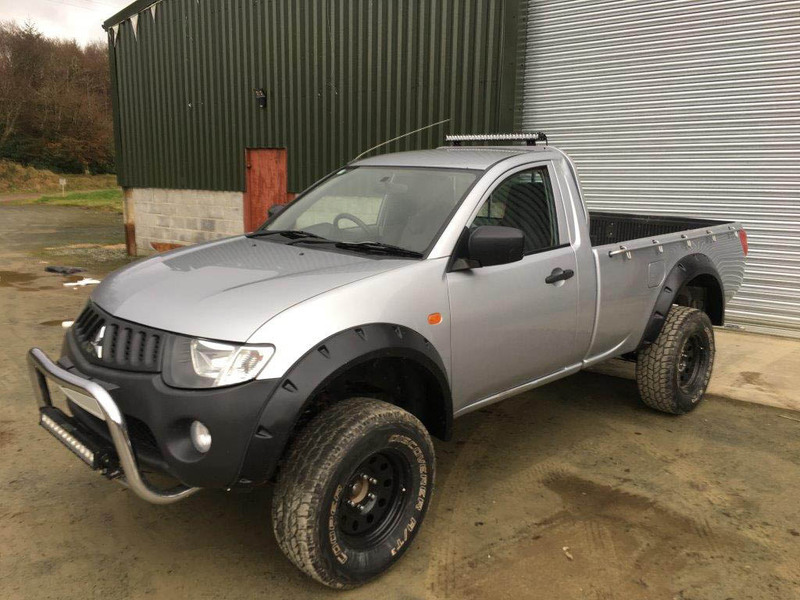 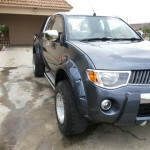 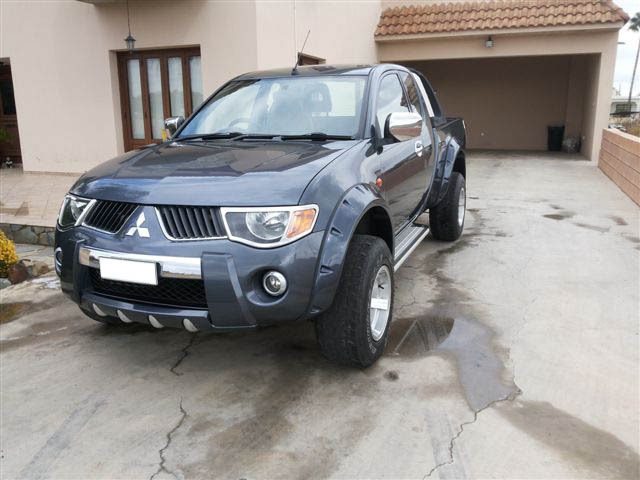 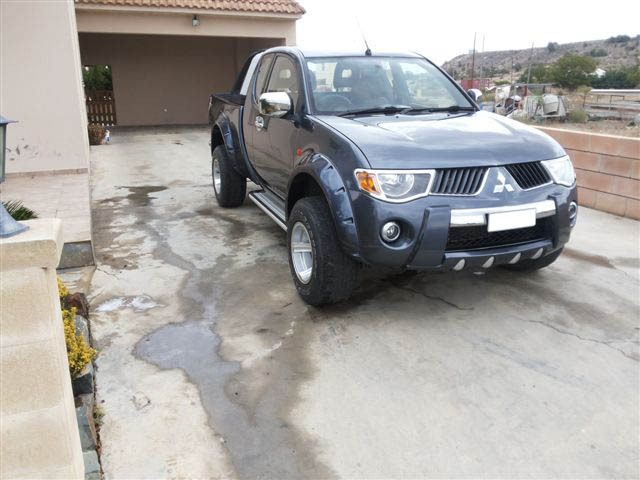 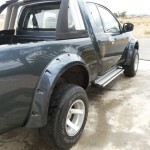 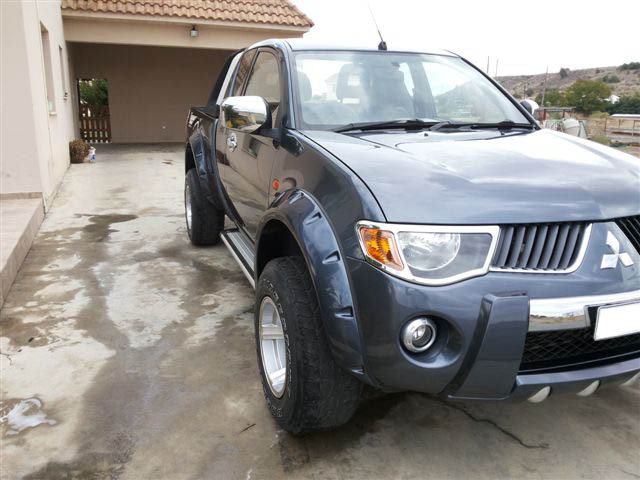 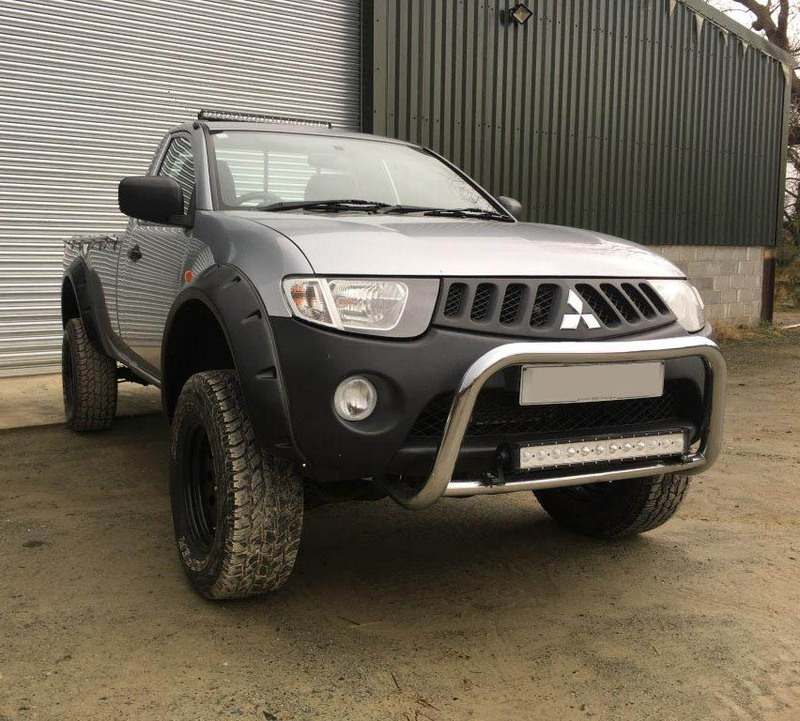 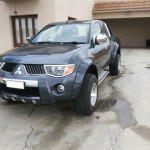 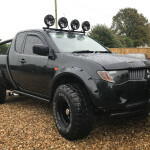 Wide flares, pocket style for MITSUBISHI L200 Warrior, 2005-2010, single or club (extra) cab. This set of arches (4 pieces) are made for the MITSUBISHI L200 single and club cab (extra cab) (WARRIOR or TRITON), year 2005- 2010. 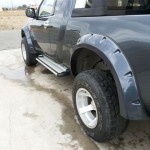 They extend about 8 cm from the side of the vehicle. 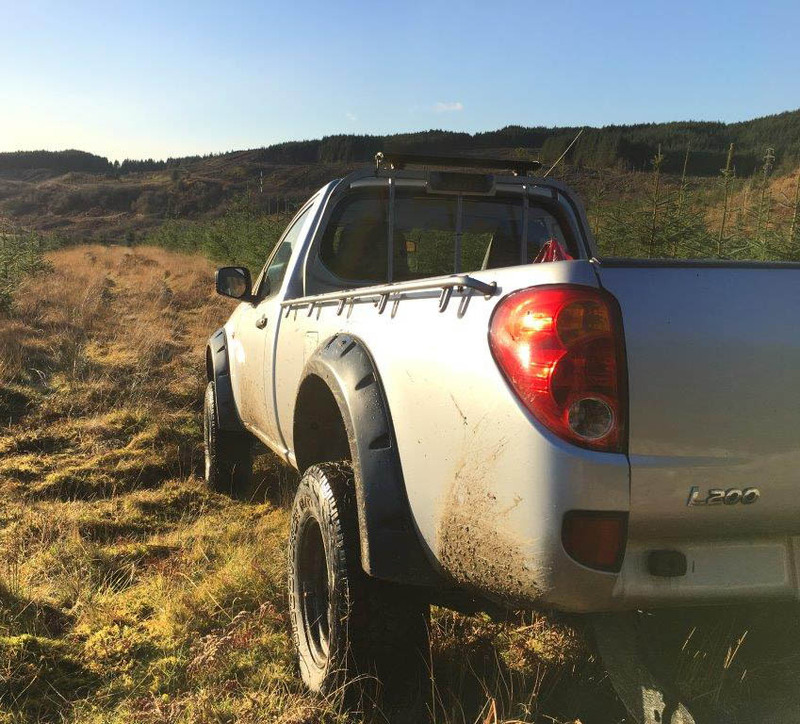 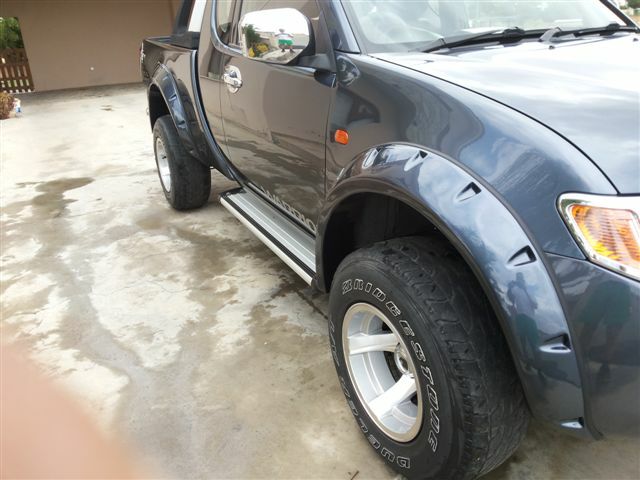 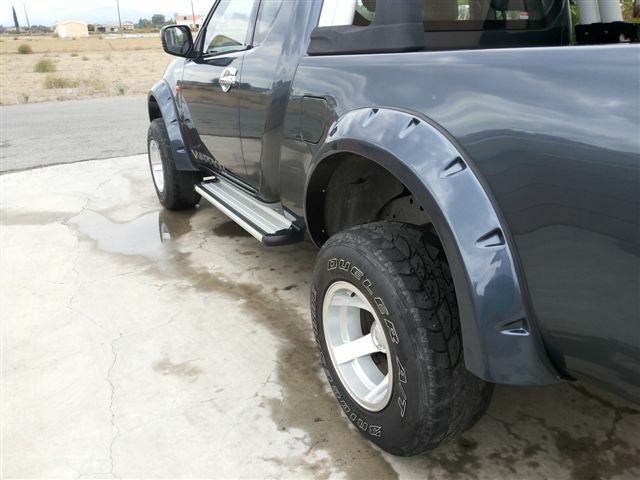 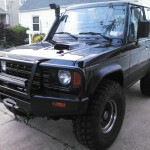 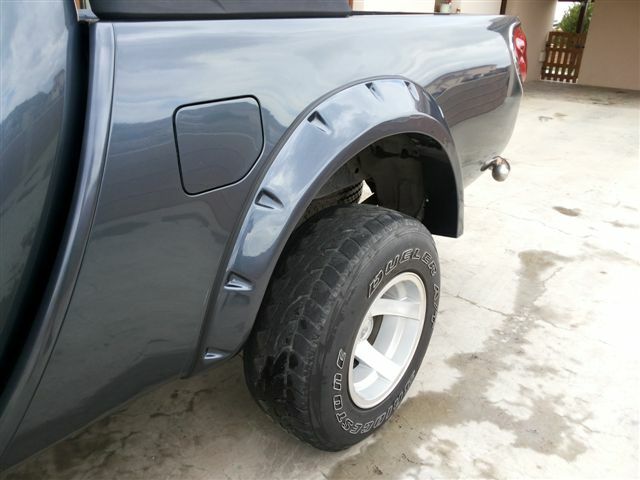 Flares for the double cab are also available in another listing. 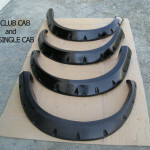 They are made of good quality, hand-laid fiberglass and the surface is black gelcoat (smooth mat). 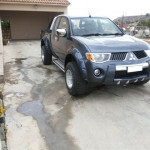 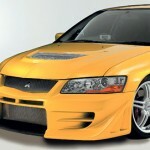 Make sure your car is the model described above and shown in the photos. 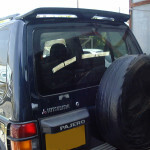 They will not fit the new facelift bumper edition introduced in 2010. 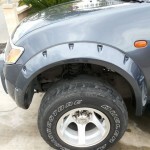 If you are in doubt, send me a few photos of your car showing the front, sides and back. 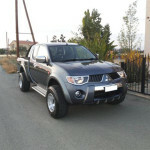 I will reply within a day and let you know if it’s the right model. 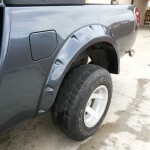 Each arch is installed with 4 self tapping screws on the underside (cambered surface). 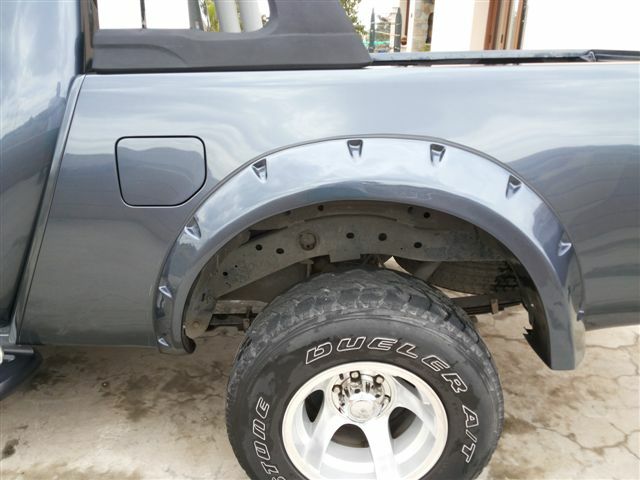 The front and rear screw goes through the fiberglass, while the two middle ones are fitted through sheet metal strips which are fixed on the fiberglass. 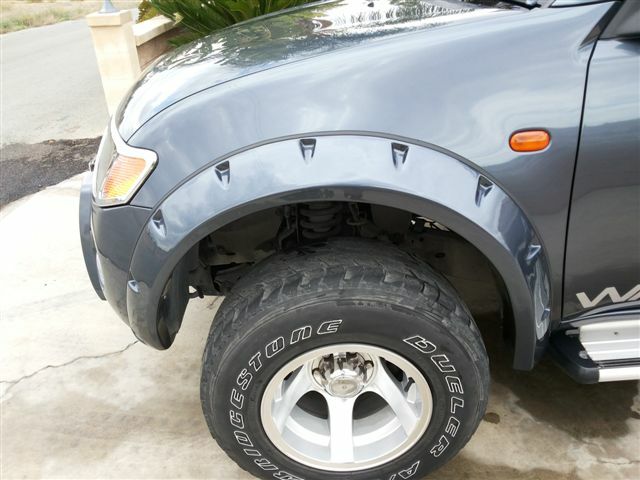 This way you don’t have to put holes through the arch pockets and the sides of the vehicle, unless you want to. 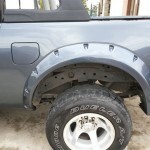 Another screw must go to the lower front edge and to the lower back edge (in total 6 screws for each arch).